This case is designed with the traveling sound engineer in mind. 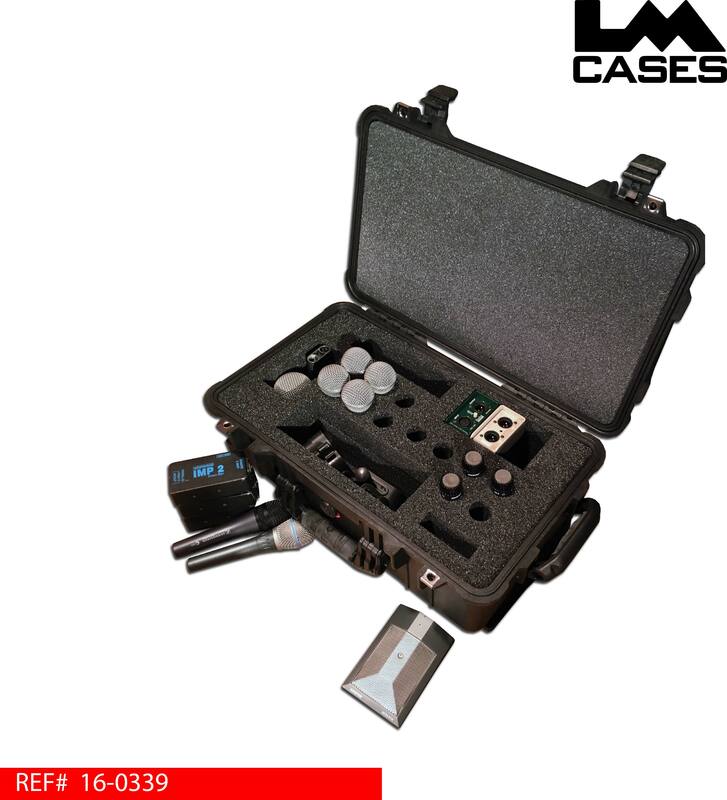 The case holds a basic mic kit in a waterproof Pelican 1510 case which is small enough to be carried on commercial flights, and durable enough to be checked as baggage. 12 circular cut outs hold SM57/58 microphones in the center of the CNC cut foam insert. 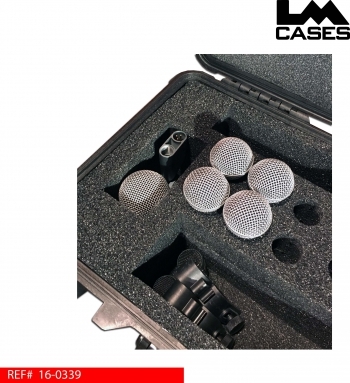 There are individual compartments for a Shure Beta52 and a Beta91, although the compartments are specifically tailored to these mics; they are generic enough to accommodate a variety of larger low frequency mics. A condenser mic compartment is sized around longer mics like a SM81 and can fit multiple units. The DI compartment perfectly holds 3 Radial DI’s or 4 Whirlwind IMP’s. 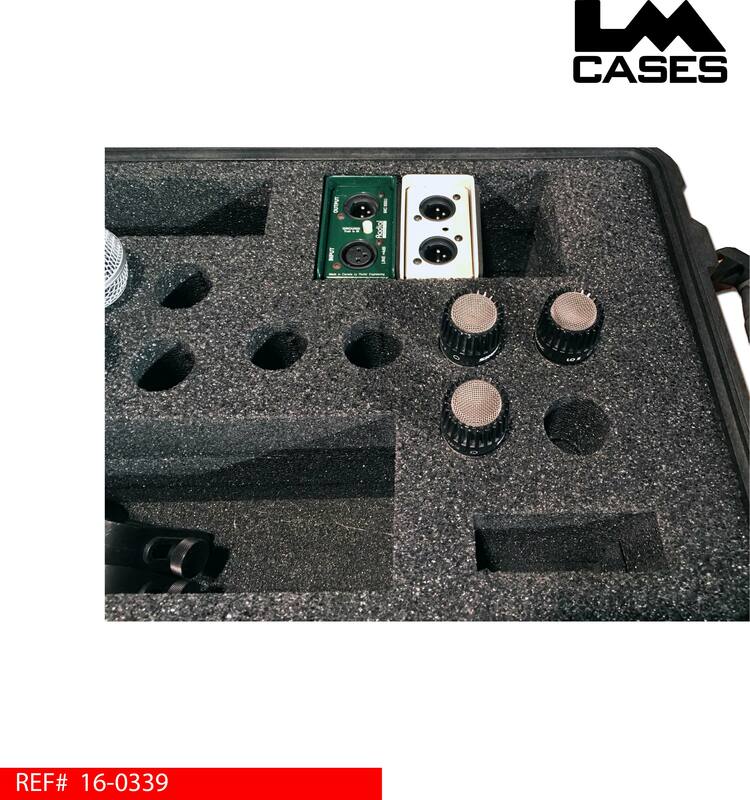 The accessory compartment holds rim mounted drum mics and assorted clips and adapters.